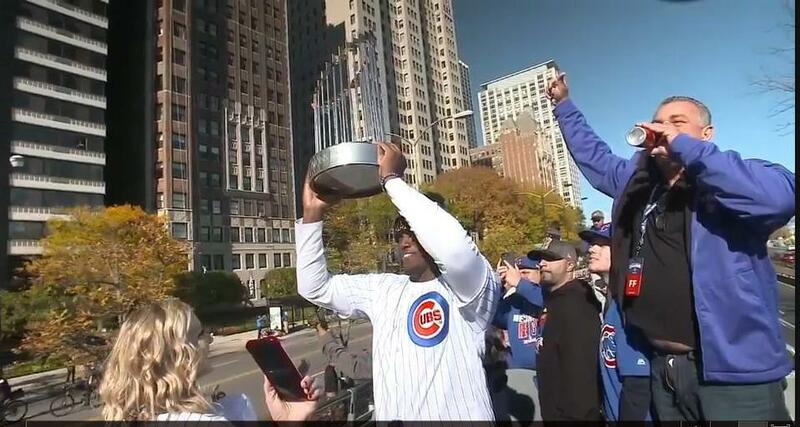 Major League Baseball's Commissioner's Trophy, given to the winner of the World Series, may be a federally registered trademark soon. 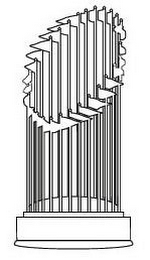 On May 10th, the Office of the Commissioner of Baseball filed four federal trademark applications with the U.S. Patent and Trademark Office for the trophy. These appear to be the first federal trademark applications for the trophy filed by the Commissioner. The applications describe the mark as "a design representing a three-dimensional object comprised of thirty flags mounted on poles and arranged in a circle on a round base. The interior of the base consists of a slightly raised dome." According to the application, this particular design was first used in commerce on July 7, 2000 (I don't know enough about baseball to know the significance of that date, if any). Clothing, namely, headwear, shirts, sweatshirts, jackets, infant wear (Class 25). facts pertaining to whether the design results from a comparatively simple or inexpensive method of manufacture. See TMEP 1202.02(a)(v); In re Morton-Norwich Prods., Inc., 671 F.2d 1332, 1340-1341 (C.C.P.A. 1982). Additionally, the product feature or design, as with all trademarks, must be inherently distinctive or have acquired distinctiveness. TMEP 1202.02(b). Note that product designs, as opposed to product packaging, can never be inherently distinctive. TMEP 1202.02(b)(i). The MLB is not the only professional sports league to seek a federal trademark registration for its championship trophy. The NFL has owned a federal registration for the Vince Lombardi Trophy since 1983. And in 2015, the National Hockey League obtained a federal registration for "a three-dimensional configuration of a trophy with a ridged circular base, that narrows into an open bowl shape with curved lines radiating upward from the base of the bowl" (aka the Stanley Cup).